Google+ Beathearts: Beathearts meet Yam Who? "Like Floating Points said to us, we redefined the edit and turned it into an artform"
Last week we got in touch with Andy Williams a.k.a. Yam Who? The man behind the (for a long time) secret team that turned reworks into an artform. In our Beathearts rewind #29 of The Roots Break you off we promised you the full interview and here it is. First off, we need to ask you who is Yam Who? Since we first heard of you in 2003 there were a lot of rumors around who's behind those amazing reworks floating around. We've heard the story behind the name inspired by a Jerky Boys cartoon character (Nam Who) but also heard that Desmond Morgan (Lil' Rico) is involved somehow. Could you set us straight? Yes it was indirectly from the Jerky Boys and adapted from my surname Andy Willyam from a guy who I worked with a Reckless Records. I originally started the Yam Who concept 2002 until it blew up in 2002. Yam Who? is a now a live band and we have a new album out early 2012, totally killer! One of the things that caught our attention with your first releases was the simple fact that you labeled them reworks rather than remixes. When we listen to the tracks you reconstructed we believe we understand why you chose that phrasing but is it indeed an intentional choice of words? Well, like Floating Points said to us, we redefined the edit and turned it into an artform. It was quite intentional but much deeper than just a label. The music had to be completely without genre, the big we wanted the mystic, hence the question mark. The concept was not to reveal our identities but just let the music talk. Like most people we despised the music business with all the middlemen and still do. We wanted to take the DIY punk attitude and use that anger and apply it to beautiful productions. 10 years later were an independent company and are free to use the internet to sell directly, and release exactly when and what we want! Another alias putting out slick reworks at the time was Blackbeard. Any relation? Yes, good friends. We had an incredible night together called Uptown Safari. Two of our favorite edits of yours are Hipnotic Are you lonely and Little Brother Make it hot. Two tracks that we definitely would have missed out on if you hadn't put our your edits. How do you chose the tracks you work with and is there a philosophy how you go about reworking a track? Just being music fanatics from an early age. Its important to study and then being able to bring that history and knowledge into the studio. It's what stands the test of time and sets you apart, this leads to longevity. Theres definitely a philosophy to what we choose but I'd say in its basic form ie a strong vocal with say a guitar or piano...whatever. The sentiment of that song, it can be from any era, if performed and executed well, and youre in the right mood, it will hit you and that is all what matters...an amazing track will turn you on and brighten up your world. 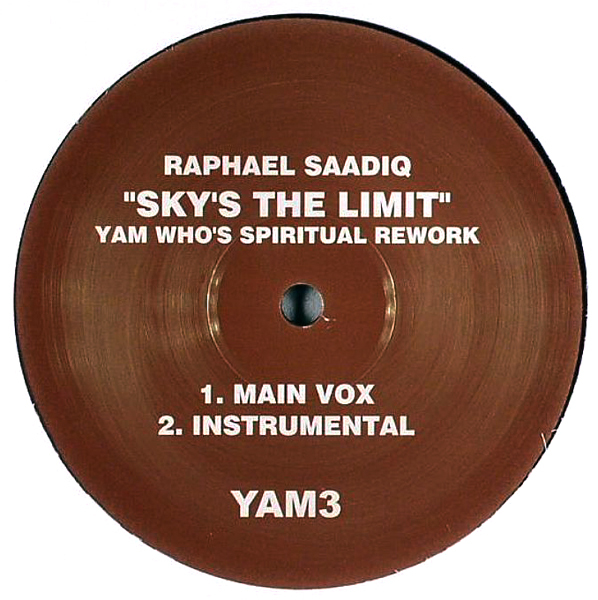 In our minds, one of the greatest reworks of all time is your version of The Roots Break you off. It's an amazing song to start off with, but you somehow manage to take it to the next level. Could you tell us the story of how that track came about? From what we hear your version of Break you off was only played on radio once (by Benji B on Deviation, BBC 1extra) never to be aired again and was never released. What happened? 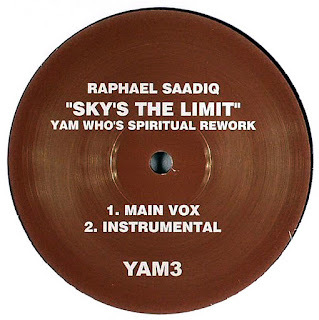 It was going to be our second rework but for some reason one night I was talking about a record with my friend called 'Skyy Can You Feel Me' by Raphael Saadiq, we both loved this record like many people. I started messing around with it but I always thought it was too mellow and it just happened that this blew up and The Roots record was pushed to one side, then the whole Yam Who? thing just exploded. It came out on our first Back II Front compilation, very ltd! Correct us if we're wrong but Back II Front was only released as a mixed CD with only a few minutes of Break you off right? Since we're on a mission to push underground soulful music that deserves more attention we're obliged to ask you if we'll ever get a chance to hear the track in its entirety? Ok that's a fair point with Back II Front. I guess most artists/producers are always chasing the next goal so this track was left behind a little. One day perhaps we'll release as there's a lot interest. One fact, myself and Chaz Jankel (Ai No Corrida fame) made the music which gives in that timeless quality. Did you ever get any feedback from the Roots crew? We mean, they're usually quite openminded and one would think they'd also like for your hommage to meet a larger audience? Yes, we'd love to know what The Roots thought! There are so many reworks/edits from you around that we're guessing many of them are unofficial at least to start off with? Which was the first rework/edit you put out? Which was the first official remake you got paid for? Who are your inspirations today? Records/tunes that have recently blown your mind? This changes all the time..were big Toro Y Moi fans, more song based we'll always check out the cool edgy production stuff like Moodmann, Morgan Geist, Maurice Fulton, Caribou, Linkwoood, Mpese Mpese Band, Rub'N'Tug. But it has to be the killer live studio sound emanating from the 70's & 80's..from live drums upwards, locked in the groove. Its a long list, Kid Creole, Fela, Arthur Russell, James Brown, Talking Heads, Funkadelic, Mulatu, The Meters, Lowrell, Peach Boys, Konk, Esg. Beatmakers and drummers are a great source of inspiration for us. People like Karriem Riggins, Madlib, Questlove, Kenny Dope and of course Dilla's music inspired us to start highlighting soulful underground music that don't get enough attention. When/how did you start producing/making beats? Are you a drummer as well? Lil Rico [is a percussionist]. Afro cuban percussion, congo's, bongo's, drums. Also I studied with him. I'm more computer, production based and started using Akai samplers around 1989 and still do today. We origianlly combined them both to make our sound but mainly nowadays use live drums then overdub. What is you live set-up like? Its a seven piece live band, the same musicians with Odyssey & Killer Whale. Heavy disco business! 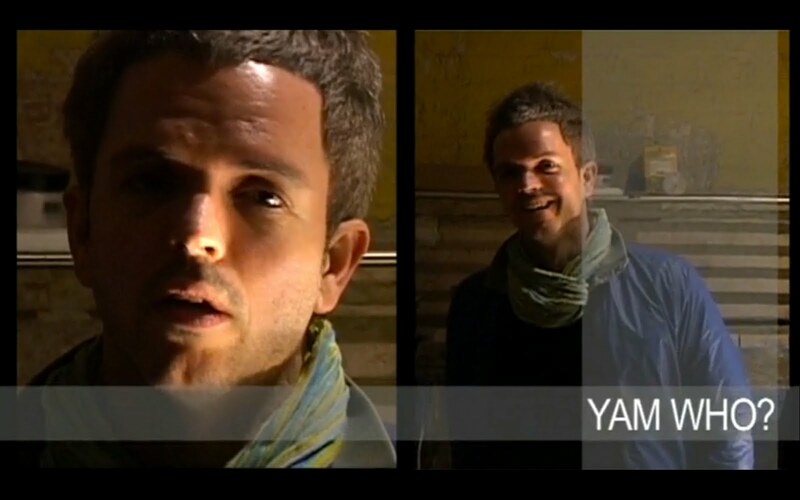 What can we look forward to from Yam Who? in 2012? We've just recorded our debut album, with the live band for an early 2012 release on our Ism Records. Inspired by Quincy Jones/Rod Temperton, so it would be these two, countless others lets put down Raphael Saadiq, Herbie Hancock and Prince too. Is there a concept e.g . are you writing your own song or is it recorded live jam sessions? How many tracks are you planning? 13 originals based on a lot references. French disco, afro, detroit house, downtempo soul, 80s boogie. No collaborations as we wanted to become our entity, we've worked with or helped a lot people so its time to just do our thang! Male and female vocals, very Quincy Jones, Cameo, Prince but with modern production. Its based on a 6 piece band and yes Rico is on percussion. That's it. Thank you. We truly appreciate your time and we look forward to more great music from you in the future! 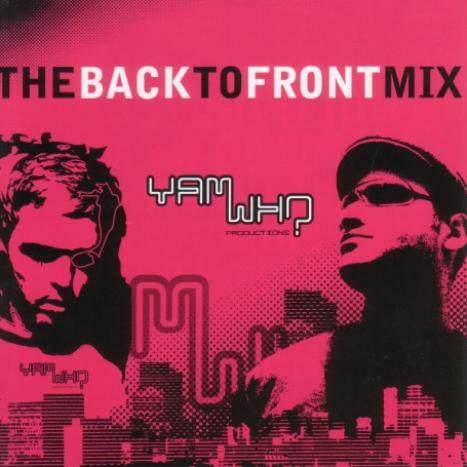 The debut album from Yam Who? is scheduled for an early 2012 release on Ism Records. As a bonus, here's a mixtape of rare Prince tracks put together by Andy. Enjoy!